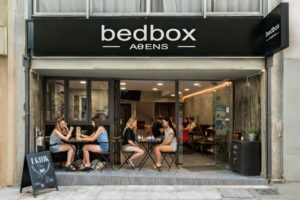 The rooms and dormitory rooms at Bedbox are air conditioned, and most provide access to a shared bathroom. Some open out to a private terrace. Monastiraki Square is 500 m from the hostel, while Ermou Street-Shopping Area is 400 m away. Elefthérios Venizélos Airport is 37 km from the property. This is our guests’ favourite part of Athens, according to independent reviews.